Separate dough into 8 biscuits. Cut each biscuit in half; roll out each to form 2-inch round. 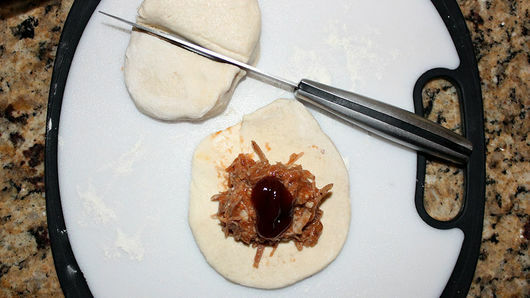 Place 1 heaping teaspoon pulled pork in center of each dough round (do not overfill). Gently wrap dough around pork; pinch edges to seal securely. In medium bowl, stir together cornbread mix, water and egg until batter is smooth and of pancake batter consistency. 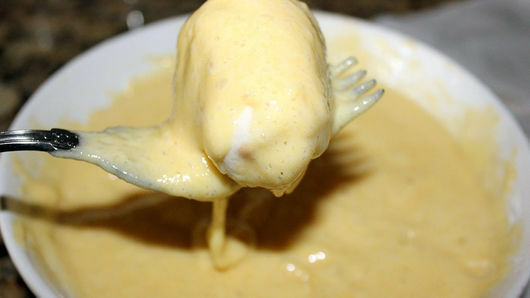 Dip each filled dough ball into batter; let excess drip off. 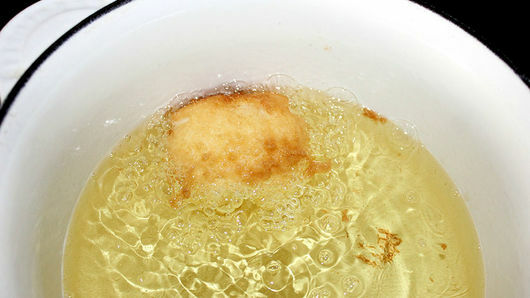 Fry 1 or 2 balls at a time in hot oil, turning until all sides are golden brown. Drain on paper towels; cool. 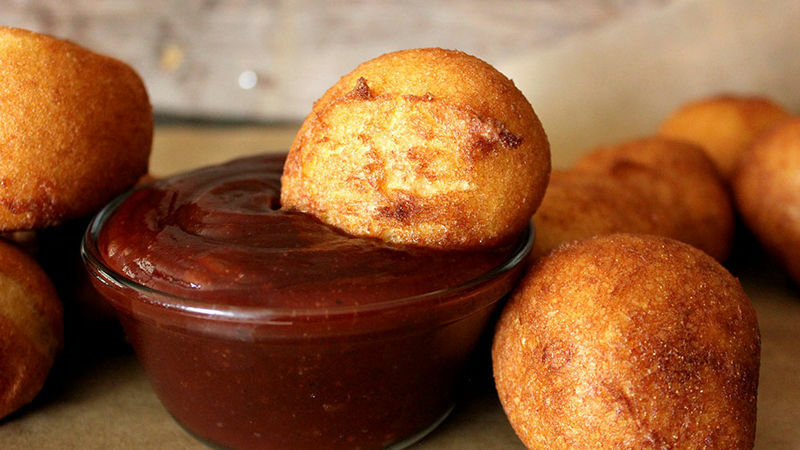 Serve with your favorite barbecue sauce for dipping. Add in a dash of ground red pepper (cayenne) for some heat. Serve them with some ranch dressing for dipping as well as barbecue sauce! For an even quicker “bomb,” try Pillsbury™ refrigerated corn biscuits and skip step 3.